The pain that veterans and their loved ones experience after the veteran returns home from combat can be a long and difficult struggle. Symptoms of PTSD such as anger, emotional distance, irritableness, flashbacks, nightmares, and trouble sleeping among others make each day seem like a burden rather than the blessing it was meant to be. Veterans and their loved ones often just want to know what specific things they can do to make life better once again and control those symptoms that are so harmful. This book is designed to provide those coping tools that will allow them to do just that. Twenty practical tools for addressing the symptoms of PTSD are provided in an easily understandable and usable format. Illustrations are also provided to describe how PTSD symptoms might look in the everyday life of the veteran. 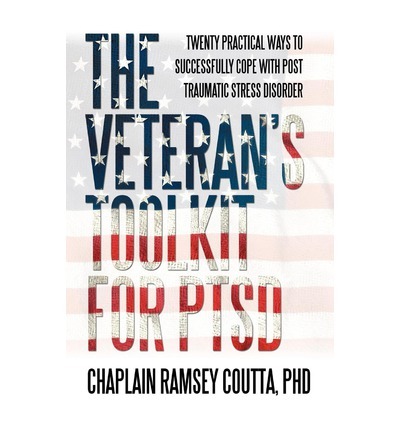 Ramsey Coutta, PhD, a chaplain and veteran of the Iraq War, having counseled numerous veterans upon their return from combat, addresses those PTSD symptoms veterans struggle with the most. Through these twenty practical tools veterans and their loved ones can find improved coping and hope once again.